Athletes are taught to "eat, sleep, and breathe" their sport. For a basketball player, this can mean carrying their basketball with them wherever they go. For the runner, this can mean studying their races. As a former competitive athlete, this is the same philosophy I bring to my photography. This means that I make it a point to carry my camera with me in my whereabouts, schedule weekly practice photography sessions, and participate in monthly group photowalks. Through this frequent practice, I've not only grown exponentially (check my Instagram), I've learned a lot about myself as a photographer. I've learned my favorite places to shoot, settings to shoot with, and a few personal editing styles. But, with practice also comes challenges and roadblocks. My most recent challenge has been feeling limited in my photography in certain locations. I love shooting in the city. Any city! I find so much creative inspiration with the buildings, people, streets, and graffiti and mural covered alleyways. Outside of the city, I started feeling limited in my creativity. My home base is characterized by grass, trees, parks, sidewalks, townhouses and single family homes. When I started on my photography journey, I shot a lot of landscape images due to my environment. As I started to branch off into Baltimore City and Washington, DC, I became less interested in the landscape photography I was capturing in my suburban community and more interested in street photography in the city. On days when I could not get out to the city, but wanted to practice, I recognized my predicament as an opportunity to challenge myself to find creativity in my everyday and local community. For a week, I challenged myself to shoot everyday objects in creative ways - from fire hydrants to trees to walking bridges in parks. What I found is that there are many opportunities to capture cool visuals everywhere by concentrating on some of the basic elements of photography that make all the difference - composition, color, lighting, etc. I had seen photographers make everyday objects look beautiful and intriguing before and through this personal challenge I was learning how. I was beginning to see my environment differently and stretch my creative muscle and eye. Going forward, I will continue this challenge exercise. 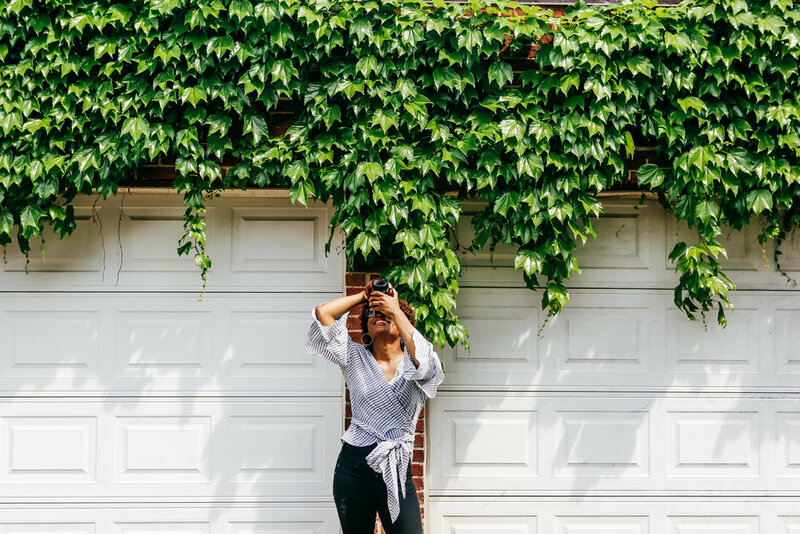 While there is nothing wrong with developing a niche, I found value in challenging myself as a new photographer and creating a habit that will help me to be able to continuously adapt throughout my career. My journey in photography has taught me wonderful lessons, including patience and presence. Patience in growing and learning different photography techniques and presence to see creative opportunities everywhere. I challenge you to be more patient and present in your life, so that you can see the magnificence in your everyday. Have a great day!